Traction Control Throttle Body Housing for Saab 9000 2.3L Turbo. Ultima Ltd specializes in rebuilding these units. 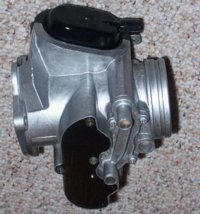 We offer recondition and bench tested, throttle body Housing assembly for Saab 9000 2.3L Turbo, 1991 To 1995. (PN 9109075, 9170705, 9169699 and 30555949). Given the high price of new units, we provide recondition and bench-tested alternative to get your car out of "limp home mode". Sale of new throttle body units also available as well as assistance with ets/tcs diagnostics. Please email or call us for details. Our remanufactured units carries 1 Year/Unlimited Miles warranty.